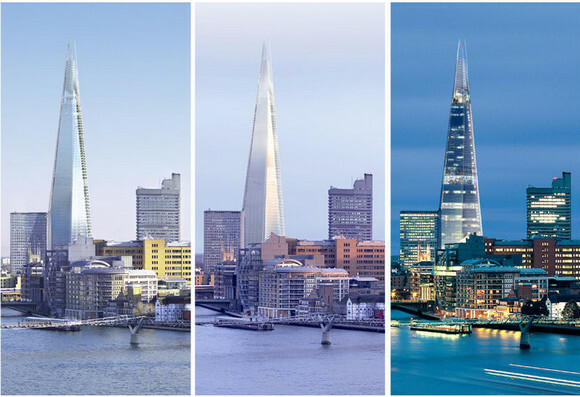 Originally called the ‘London Bridge Tower’, and then the ‘Shard London Bridge’ and ‘Shard of Glass’ before most people settled on describing it as ‘The Shard,’ this elegant skyscraper is set to be the tallest building in London, the United Kingdom and the European Union. 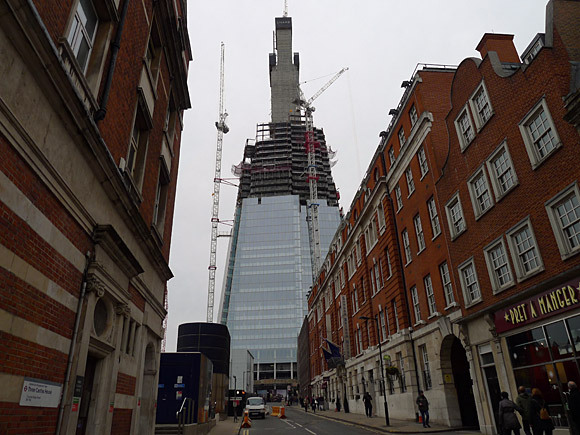 Set for completion in 2012, the pointy tower will stand at 310 m (1,017 ft) tall and boast 72 floors, plus 15 further radiator floors in the roof, with architect Renzo Piano incorporating structural design lessons learnt from the 9/11 WTC collapses. 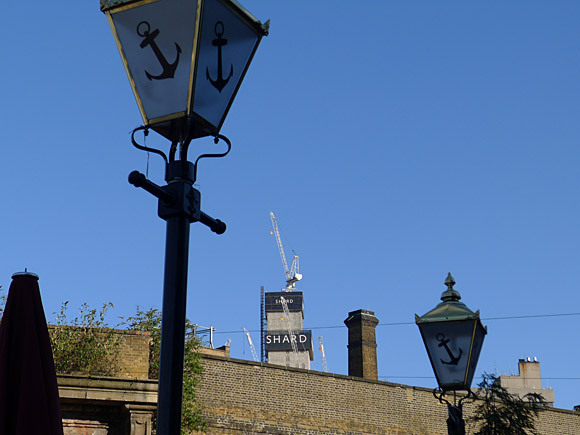 Shard tower seen from the Anchor pub, by Clink Street, on the south bank of the Thames, 13th Sept, 2010. 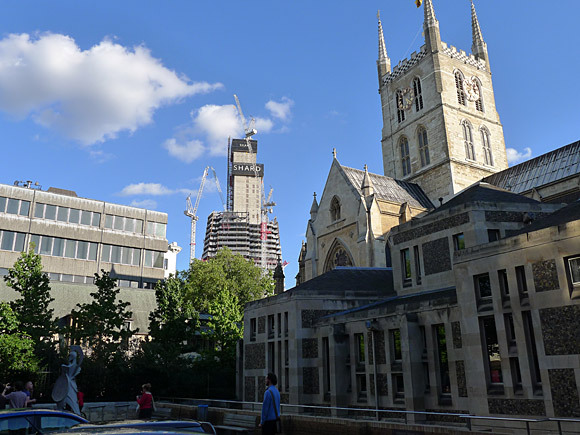 The Shard with Southwark Cathedral in the foreground. 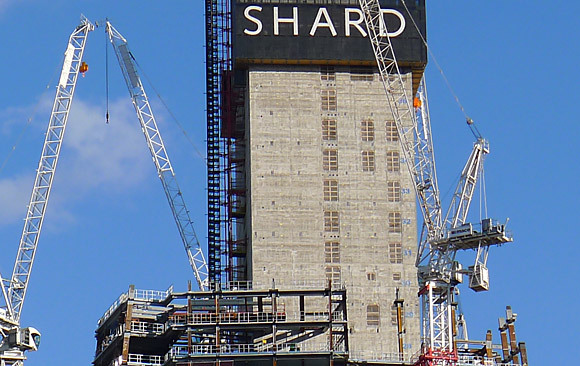 The central concrete core has been rising at around 3 metres a day, and is expected to reach the 72nd floor by mid-November. 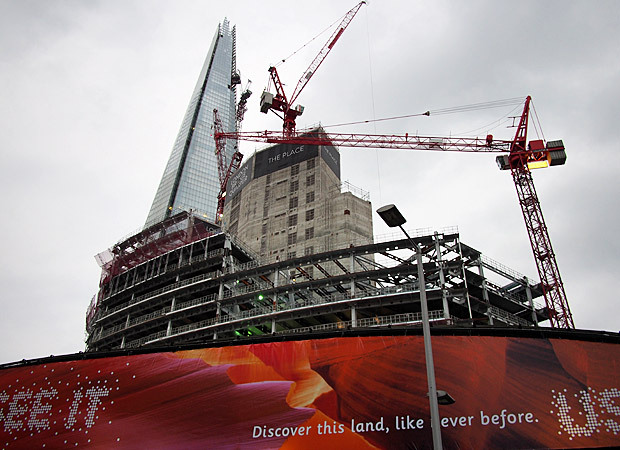 There’s going to be a public viewing gallery at the top which is expected to draw over two million visitors a year. 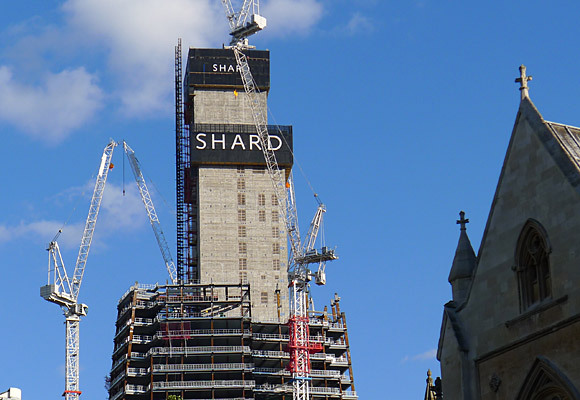 I’ll be up there as soon as I can! 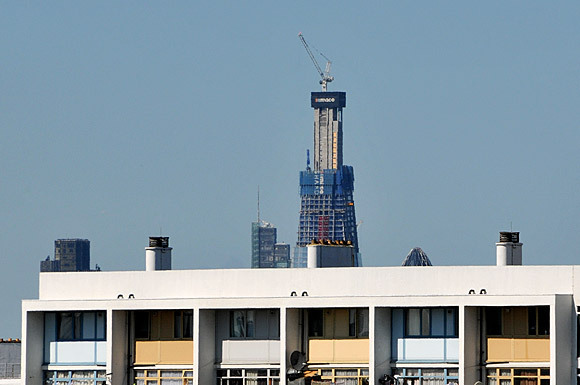 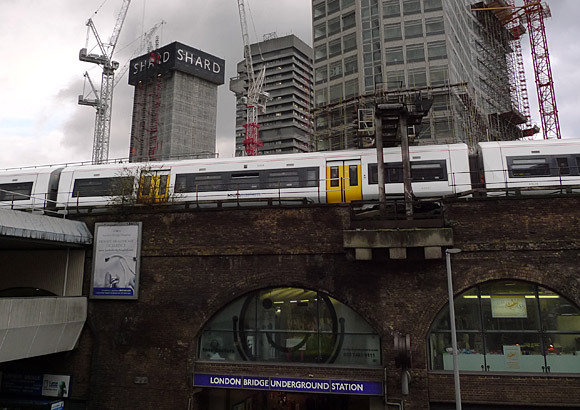 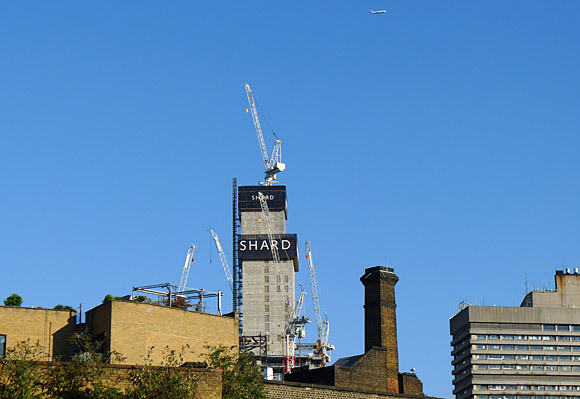 Interestingly, the nearby Bishopsgate Tower was originally proposed to be one metre higher than the Shard, but objections from the Civil Aviation Authority put the kibosh on that, so the rival tower will be restricted to 288m height. 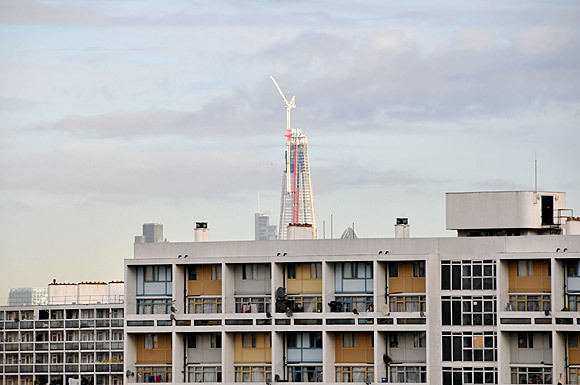 I’m still not keen on the design but like you will be up that viewing gallery ASAP! 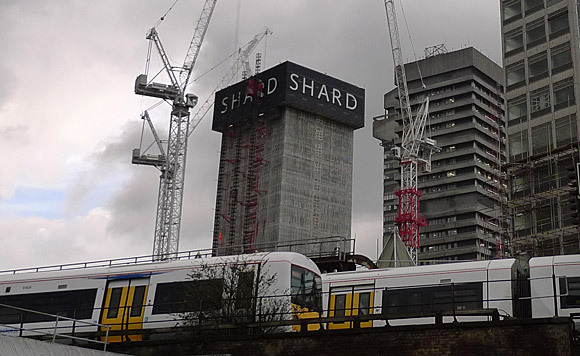 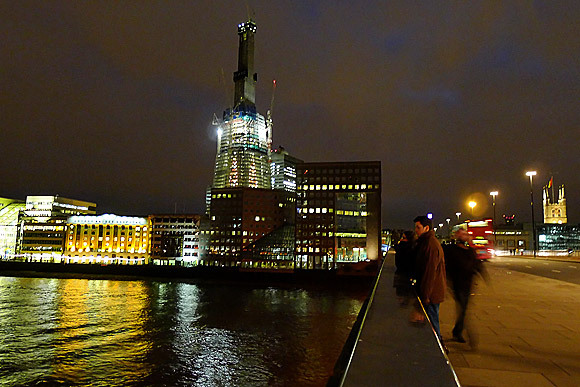 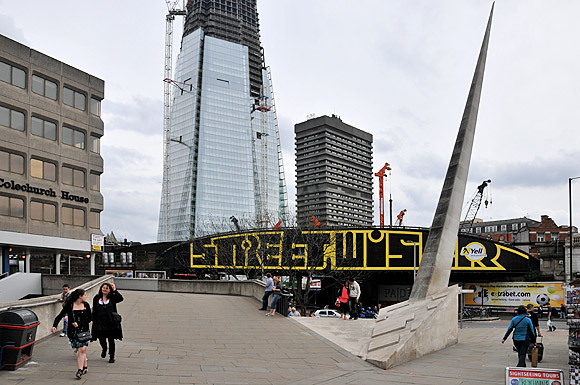 The only official name is now SHARD TOWER .